There can be many hazards on construction sites, but the security of your site needn’t be one. Our skilled team have a wealth of experience in implementing site security solutions that help to ensure your construction project is completed on time and on budget. 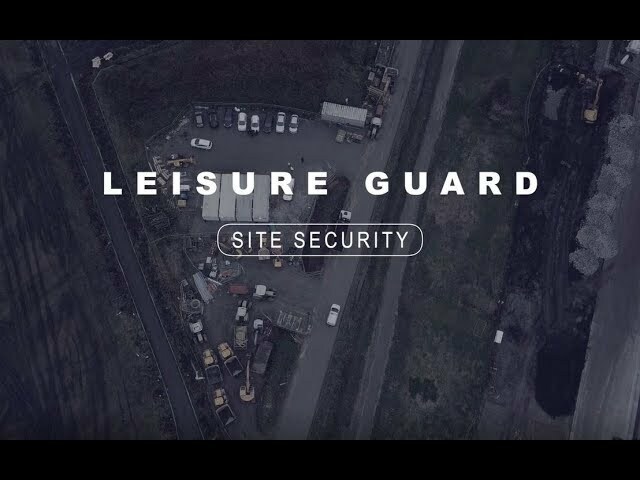 Leisure Guard Security offers a fully qualified, proactive and professional solution for your construction site security needs in Greater Manchester and the North West of England. With prices starting at just £10.95, we offer affordable solutions to potentially expensive problems. At Leisure Guard Security, we offer a flexible service, tailor-made to suit your exact requirements. Whatever your construction job size, length or budget, our team have got you covered. - It’s equipped with industry-leading technology, enabling quick response times, making an excellent deterrent for any would-be thief or vandal. - With a smart charging system, the tower can run for up to 6 weeks, whereas a manned guard would be using costly diesel on a daily basis. - The Tower Guard can be installed quickly in all terrains without the need for expensive infrastructure such as power, broadband and lighting, providing an affordable, semi-permanent security solution for your site. Depending on your site, our skilled team can offer both mobile and static security solutions. A static guard provides a visual deterrent to any potential criminal threat; alternatively, a substitute for a static guard is a mobile patrol, in which officers will visit your premises at intervals. All officer visits are logged and scheduled at irregular times so as to prevent any potential criminals from establishing a pattern. To enquire about construction security for your premises, call today.